Is the largest city in northwestern Iran is situated north of the volcanic cone of Sahand. 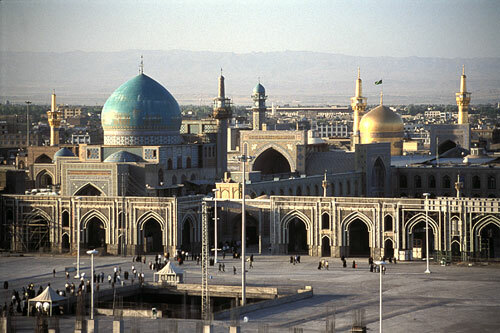 With a rich history, Tabriz contains many historical monuments, but repeated devastating earthquakes and several invasions during frequent wars have substantially damaged many of them. Many monuments in the city date back to the Ilkhanid, Safavid, and Qajar periods, with the large Tabriz Historic Bazaar Complex being named as a World Heritage Site in 2010. In addition to all of this there is an excavation site and museum in the city center with a history that dates back to 2500 years. Shah-Goli – It was used as a summer palace of 19 century Qadjar prince. The palace surrounded by Persian gardens and water pool. Kandovan -Its fame is due to its special houses which are carved inside rocks. Some of the houses are at least 700 years old and are still being inhabited. Kandovan also has scenic beauty. It’s a popular resort with hotels and restaurants there to serve tourists. Its mineral water is also popular by visitors and is believed to be a cure for many illnesses.